So, you’re married now, that’s a thing, and you’re open to a whole new world of opportunities for you and your partner to explore. Why not start by creating some super fun traditions? The best part of creating traditions with your partner is that they are personal and unique to you, and things you develop over time. But if you are looking for a bit of inspiration to start you off, here’s my top 10 ideas for traditions to start in your new marriage. Although this might be super cheesy to some of you, we can all enjoy a little cheese in our life now and again. This super fun, romantic tradition basically involves you and your partner going back to the place of your first date each anniversary. This doesn’t have to mean re-creating the entire first date start to finish, and nor does it have to be the exact same location, have fun with it. Say you’re first date was at an Italian restaurant, each anniversary you could go to a different Italian restaurant. Although not completely relevant in September, I’m already embracing the Autumn lifestyle, meaning Christmas is nearly round the corner. Your first Christmas together is bound to be special, but why not make a fun tradition to add to the excitement? This, again, can be adapted to suit whichever holidays you celebrate and how you decorate for them, but why not make a habit of choosing a decoration together every year? It’s the perfect way to build your collection together, but also in an affordable yet romantic way. It will also be hilarious to look make on some of your questionable decor choices in years to come. Strapped for cash after your big day? Or just want to stay in and relax after a busy week? 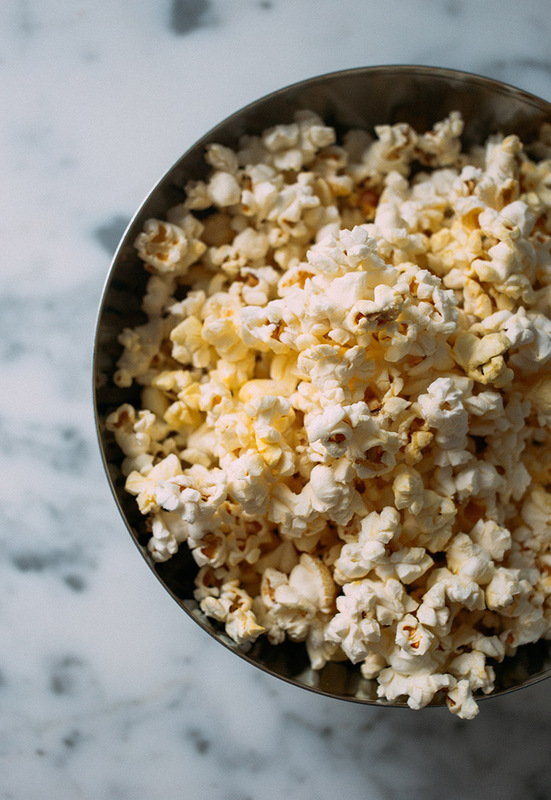 Having a movie night once a month (or even once a week) is the perfect tradition to start with your partner, especially since the invention of Netflix. Just grab some popcorn and you’re ready to go. Just make sure you decide on the movie in advance to avoid wasting several hours deciding (we’ve all been there). There’s nothing nicer than small tokens of appreciation from your significant other. Leaving notes around for each other is the perfect way to do this without breaking the bank. Ideas for where to put these could be in with their lunch they take to work, their car, or even in their pocket. The more unexpected the placement the better. Say you and your partner are both obsessed with reading, why not both buy each other a book you think they’d really enjoy. This is a super fun way to try something different as well as see how well you know each other. This is completely universal depending on your hobbies, you could buy each other an obscure snack if you’re both foodies, or a video game if you’re both really into gaming. The possibilities are endless. For the more practical of us (I definitely fall into this category) why not put aside a certain amount of money a month into a jar and then at the end of the year use the money you’ve collected to do something you’ve always wanted to do. This could be a trip to Paris, or to visit a particular landmark, where you choose depends completely on you as a couple, and how much you decide to put away each month. As much as they may (or may not) try to hide it, everyone loves and needs a pamper evening evening now and again. As you’ll have read from my previous blog posts about all things beauty, I love everything about it. Grab a few face masks or hair masks (or make them if you’re feeling ambitious), put on some hilarious spa music and relax. This is not only a great way to spend time together, but it will also be super relaxing and treat your skin at the same time, what’s not to love? Modern day lives can be really hectic, especially if you’re both working different schedules. The best way to work around this is to make a conscious effort to find time together. A great idea for this is to eat at least one meal a day together, even if you’re eating breakfast while your partner, on the night shift, is eating their dinner. This also means the washing up will only have to be done once, win, win. This one will especially appeal to you if you have a competitive streak, especially against your partner. Why not get your whole family involved, this would be especially adorable if you have kids you can include. This one is super versatile too, you could play board games, video games, apps, or even make it educational if you’re including younger family members, or enjoy quizzes yourself. To add an extra touch, why not offer a prize/ forfeit for the loser? This is the perfect Sunday morning tradition, whether you live in the middle of the countryside or in the middle of a crowded city, going on a walk together is super romantic. Personally, I find either late night walks, or early morning walks the most calming and overall enjoyable, but pick a time most suited to you as a couple. Why not bring your dog(s) along with you, or grab some food on the way and make it into an afternoon out with a picnic. The possibilities are endless with this one. Do you have any traditions I didn't mention? Comment them below and keep the discussion going. Or you can follow us on Pinterest for even more inspiration for living your best married life.